Preparation: Set your ritual space with two candles, matches, a small bowl of salt, a bowl of water, a quilt or blanket. Having a mother is an experience uniquely common to people of all classes, races, and nationalities. It is an encounter that forms who we are; therefore, we each need to take time to integrate this relationship in our lives. 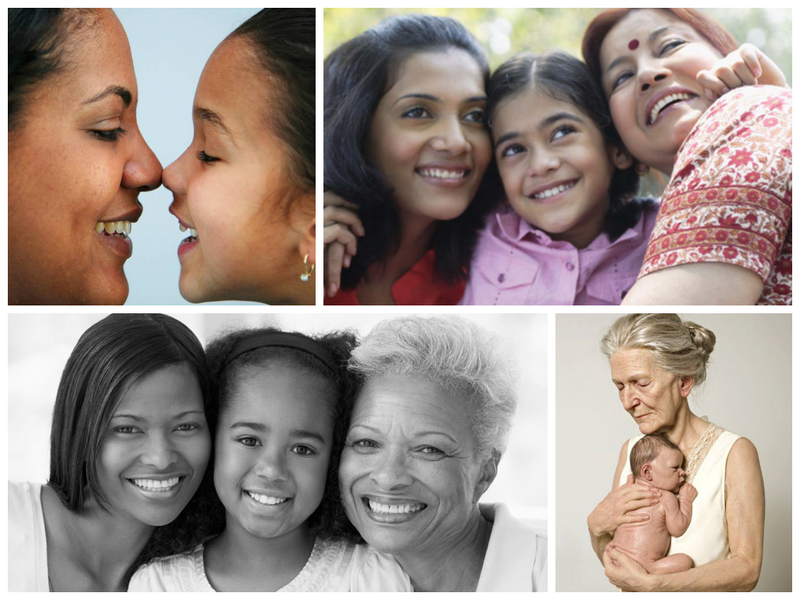 This season of Mother’s Day is a time to remember the mothers in our lives–mother(s), grandmothers, aunts, godmothers, women role models, and mother-friends. This time can bring a mix of emotions: grief after losing a mother, pain, love, expectation, anticipation about becoming a mom, joy from a shared experience, sadness about unresolved hurts, disappointment, fulfillment and so much more. It offers an opportunity to connect about joys, hurts, struggles, mislaid dreams, and good times. Our mother most likely has more influence on us than anyone else and we are marked by this relationship. Let us think about what it means to be in relationship to the female lineage of our families. Mothers in our families, you have named us and have given us life. Song: “Womanriver Flowing” by Carole Etzler, from Womanriver, © 1984. Let us each hold onto the quilt as we sing a lullaby. Do something special for the mother(s) in your life: make a card, send an email, make breakfast, thank her. Put flowers in a room she uses often: bedroom, office, living room, kitchen. Take a walk with your mom and connect with the universe together. Look at stars, moon, sun, and give thanks. Cook a beautiful, healthy meal together. Use one of your Mom’s favorite recipes. Set an elegant table with tablecloth and candlelight and enjoy the time together. Lobby your senator and congressperson to give women equal pay, quality childcare, a living wage, affordable health care including reproductive services, paid sick and family leave, and flexible work schedules. Learn about and donate to Black Lives Matter’s National Mamas Bailout Day campaign, a grassroots effort to reunite mothers and children who have been separated by an unjust criminal justice system. Give a gift to a charity in the name of the “mothers” in your life. © 2017 Women’s Alliance for Theology, Ethics and Ritual (WATER). Planned by Diann L. Neu dneu@hers.com and Hannah Dorfman hannah@waterwomensalliance.org.